With UK tuition fees creeping higher at the same time that technology is becoming slicker, it’s no surprise to see online courses flourishing in the higher education section. First there was the MOOC, the Massive Open Online Course, the first instance of which was offered in 2008 and really took off in 2012. With their unlimited enrolment and access, these were hailed as revolutionary ways of opening up education for more people, and providers such as edX, Coursera and Udacity joined forces with universities to offer a wide range of courses, some of which were taught in parallel with paid-for university courses. Their popularity grew quickly – the University of Southampton reached its 100,000 MOOC student milestone in October 2014 – but the cracks soon started to appear. Ironically, for something that was supposed to make learning more open, often just too many people wanted to take part, and questions were raised over the assessment of students, and whether a MOOC qualification would be formally recognised in an academic context. The inability to make MOOCs profitable was also an issue. Thus a new style of learning was born. Taking the best of the MOOC – the flexibility of participation, the online accessibility – but limiting numbers, SPOCs are now being hailed as the way that universities can open up their access but in a controlled manner. The idea of a SPOC is to disseminate the lectures and course materials online and via video resources, to be done as homework. In the face-to-face time, lecturers can use their time to answer questions, assess their knowledge and go over any points that have been missed, and work on other assignments. The content can therefore be adapted to the curriculum, students’ needs and the preferences of the lecturer. And while MOOC enrolments can be up in the thousands, SPOCs are limited to whatever the course provider feels is a sustainable number. 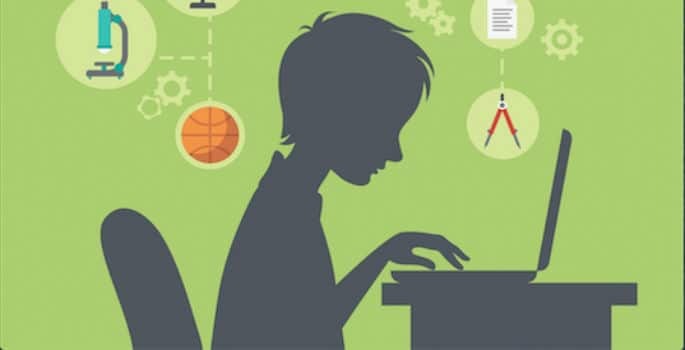 “An early objection to MOOCs with flipped classrooms was that they would ‘homogenise’ teaching by turning classroom instructors into highly-paid teaching assistants all parroting the same course. Our experience is that that isn’t what happens,” says Armando. College’s Moodle platform. Previous training events had been badly attended, so this SPOC, which also had optional face-to-face training sessions for each module, meant that 49 out of the 59 people who signed up ended up accessing the course. “The idea of a completely online course meant that participants could learn anywhere, at any time and at their own pace. This suited the needs of our staff who are on two separate campuses,” says Ben. “Because the SPOC encouraged the participants to dip in and out of sections that are relevant to them, it meant that staff didn’t have to sign up to complete the whole course, which lifted some of the pressure often felt by participants of online courses. The other main advantage of a SPOC is that it can offer a more personal experience than a MOOC.” And as one of the aims was to improve the design and content of courses on RVC Learn, the course’s success means that there has also been a positive effect on the way students learn. One issue that had been raised with the advent of MOOCs, and will continue with SPOCs, is whether the traditional campus set-up is in danger of becoming redundant, if students find that they can get everything they need online. But the MOOC has already been shown to be unsustainable in a variety of ways, and so the SPOC, with its blend of MOOC technology and traditional teaching methods, could be very well be the best of both worlds.